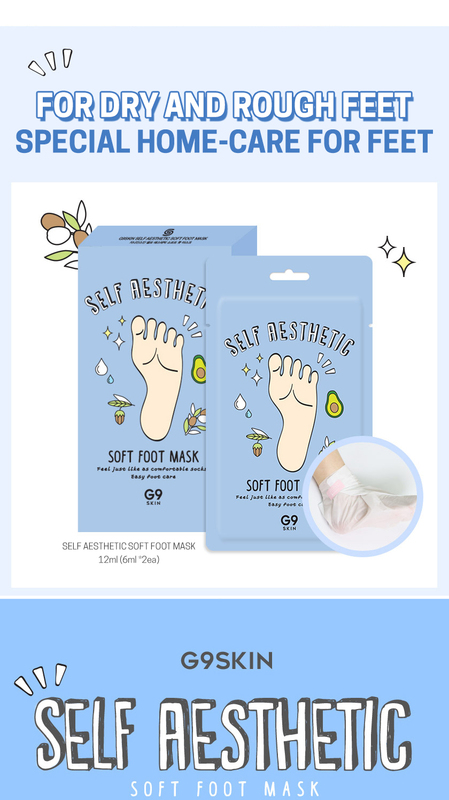 Radiant your Skin Care with the [G9SKIN] Self Aesthetic Soft Foot Mask 5P! 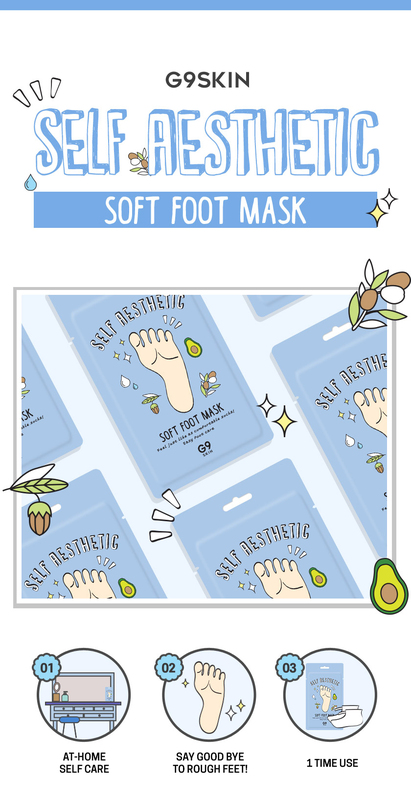 we aim to provide you best korean products to take good care of your skin, including Cosmetics, Bath&Body, Hand&Foot Care. 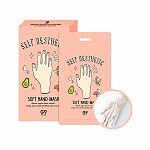 Hydra Hand&Foot Care online. Provides nutrients to your dry feet and makes them feel smooth again. 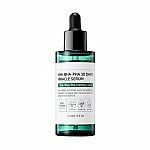 Urea ingredient softens dead skin cell. 1. Put the plastic socks on your feet. Use the ties to seal the socks around your ankles. 2. Wait for 15 to 30 minutes. Afterwards, remove the socks and pad the remaining essence for absorption.